We keep telling the BBC that there’s no such thing as Macra, but will they listen?! 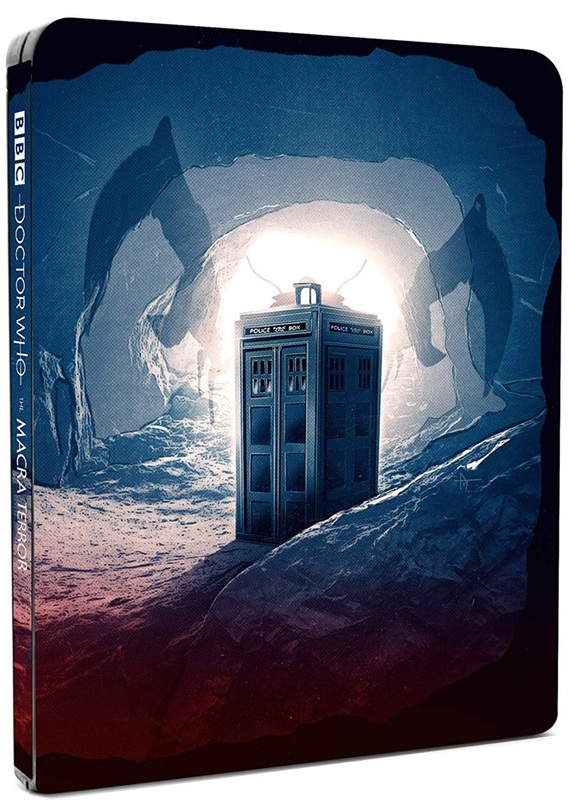 And now, they’ve done the inexcusable and animated four episodes of Classic Doctor Who and released them on DVD, Blu-ray, and as a steelbook, and called it The Macra Terror! I mean, really. Audio Commentary: Toby Hadoke presents an audio commentary track on all four episodes of The Macra Terror, featuring cast and crew from the original 1967 production – Frazer Hines (Jamie), Terence Lodge (Medok), Anthony Gardner (Alvis), Maureen Lane (Majorette) and director, John Davies. Commentary produced by John Kelly and recorded in London on 4th January 2019. Episode Reconstructions: Surviving film frames, fragments of existing footage and set photographs are brought together with the original unedited audio to reconstruct a presentation of the original now lost live-action production of The Macra Terror, as seen by viewers of BBC 1 in 1967. Produced by Derek Handley. Available to watch with or without an optional narration track read by Anneke Wills. Bonus Mini-Episode: A ten-minute animated short, built around an otherwise lost Doctor Who episode from 1968 starring Patrick Troughton and Frazer Hines. Directed by Anne Marie Walsh. Animation Test: Prior to the project being formally commissioned, this short animation test (of a scene from episode 3 of The Macra Terror) was produced in March 2018, to investigate the feasibility of mounting the production in full. Animatics: A selection of scenes showing how the new animated production of The Macra Terror went from initial storyboards to final animation. Storyboard art by Adrian Salmon. Animation Gallery: A gallery of artwork from the development, pre-production and animation of the new animated version of The Macra Terror, including character art from Martin Geraghty and background paintings from Graham Bleathman, Colin Howard, and Lydia Butz. Teaser Trailer: A short teaser trailer animated by Rob Ritchie, produced to promote the announcement of a new production of The Macra Terror in December 2018. 1992 Audio Presentation: In 1992, the BBC Audio Collection released The Macra Terroron audio cassette, in a special release narrated by Colin Baker. It was the first time that the story had been made commercially available by the BBC and that audio-only release is included here in full. 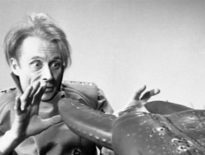 Surviving Footage: Less than two minutes of original footage still exist from the 1967 production of The Macra Terror. These film fragments have been painstakingly restored and digitally remastered for this release, with considerable improvements made to the overall picture quality and resolution of this unique footage. Film restoration by Peter Crocker. Behind the scenes film: In 1967, during pre-production of The Macra Terror, film cameras visited the visual effects workshop in Uxbridge where work was underway on construction of the Macra props. Special effects props and models from other Doctor Who stories can also be seen in the workshop, including parts of a Cyberman from The Tenth Planet (1966) and an aeroplane from The Faceless Ones (1967). This footage is accompanied by a new audio commentary track from Doctor Who visual effects designer and BBC visual effects historian, Mike Tucker, explaining some of the effects techniques and props featured in the film. Censored Scene: A reconstruction of a scene from episode 2 of The Macra Terror that was heavily re-edited by censors for the episode’s Australian television transmission in November 1967. Title sequences: The Macra Terror saw the debut of a new title sequence for Doctor Who– the first time the programme had made such a change. The title sequence is presented here in full, remastered in HD and in a number of alternative versions. Photo gallery: A collection of 36 photographs taken during the production of The Macra Terror in 1967, featuring original design department set photographs and Radio Times publicity images. All presented in HD. Audio commentary: Producer, Julie Gardner; actor, Travis Oliver; and VFX Producer, Marie Jones discuss the making of Gridlock in this audio commentary track from 2007. 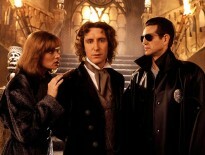 Doctor Who Confidential – Are we there yet? : A documentary looking at the making of the 2007 story, Gridlock. Of course, if animation isn’t your style, you can enjoy The Macra Terror through other means. 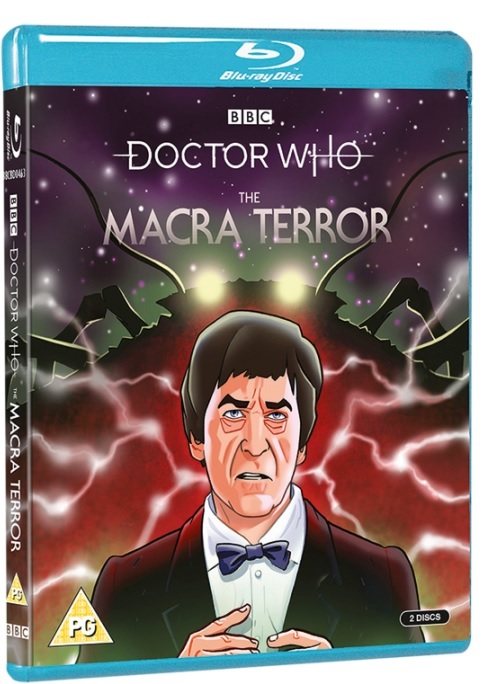 The Macra Terror is out now on DVD, Blu-ray, and collector’s edition steelbook. ← Fancy Training on the Set of Doctor Who Series 12?